Offshore marine constructions including gas and oil platforms, as well as wind farms, may be responsible for a surge of jellyfish blooms in recent decades, according to new research. Scientists at the National Institute of Biology in Piran, Slovenia, noted that the influx of jellyfish in the Adriatic sea coincided with a boom in offshore construction. 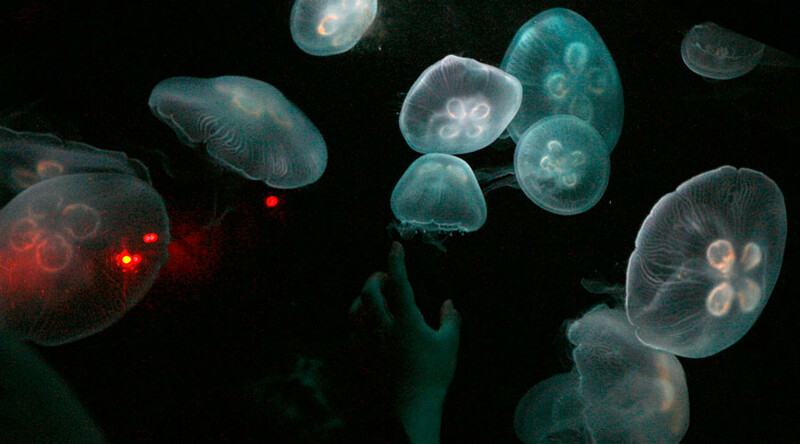 This was previously documented in other studies which determined it was reasonable to suspect that there might be a connection between the increased presence of jellyfish and the amount of introduced man-made substrate. The team, led by Martin Vodopivec, examined the impact of these platforms on the moon jellyfish population in the Adriatic sea, using a five-year long computer simulation. The study found that there was a sharp increase in connectivity between subpopulations of jellyfish polyps in the Adriatic sea as a result offshore platforms. Vodopivec says these aspects are usually overlooked when evaluating the ecological impact of existing and future wind farms as well as oil and gas platforms. The authors admit that overfishing, pollution, eutrophication and climate change are also likely to influence jellyfish population dynamics and were not included in their model. Gershwin noted the massive impact jellyfish had on the fishing industry during the 1990s in her 2013 book Stung, citing the collapse of the $350 million Black Sea fishing industry. Vodopivec is concerned that the surge of jellyfish blooms could result in a rising tendency for jellyfish plagues to occur in some areas but is hopeful that careful positioning of platforms may help minimise the effect. He says a coordinated international effort is now necessary to monitor jellyfish populations across the world’s oceans.